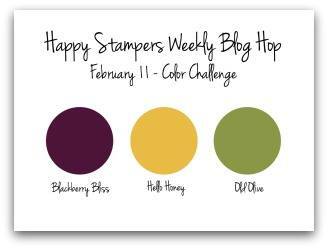 This week's challenge is a Color Combo Challenge: Blackberry Bliss, Hello Honey, Old Olive. 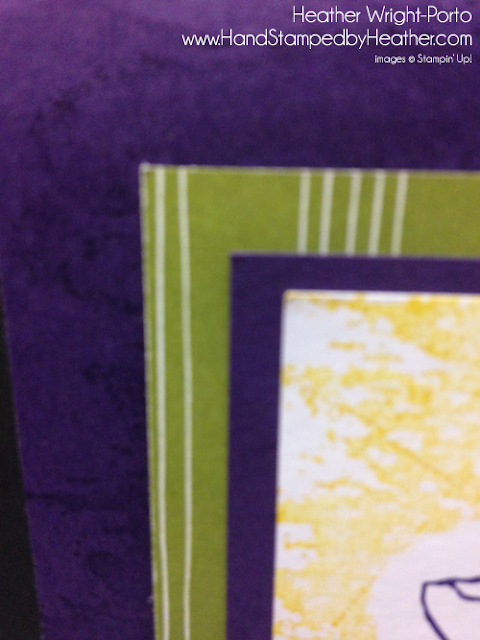 So again, we can use any layout, any stamp set, but use this color combination. 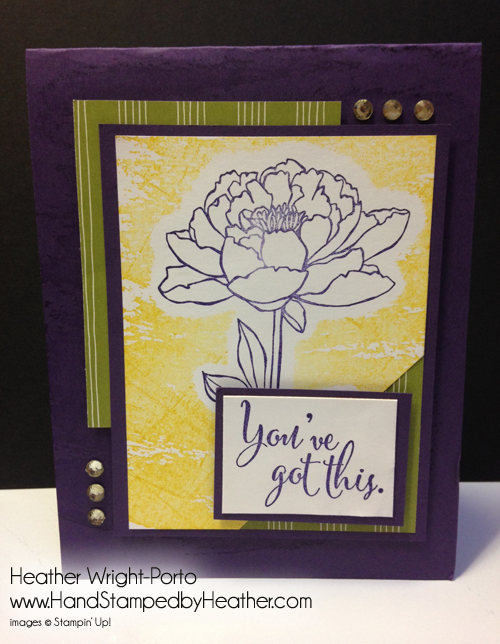 Today I'm featuring the You've Got This stamp set by Stampin' Up! and showing off the Masking Technique! Here's a couple of pictures - front view, the side view to show the depth, and the Watercolor Wash background stamp. In this image below is a close-up of the Watercolor Wash background stamp and the subtle use on the card base, and more noticeable use on the front panel, focal point. The card base actually has the Watercolor Wash background stamped in black but it came out lighter (I think it's an old inkpad lol). 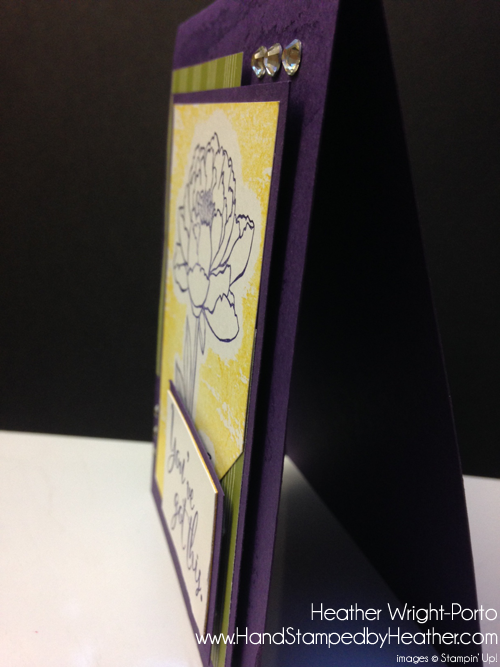 The other pieces you can see are layered (and raised with Stampin' Dimensionals). The tricky piece is the focal point where I used the Masking Technique. I stamped the flower image on scrap and cut it out. beautiful card Heather, I love that stamp set too.